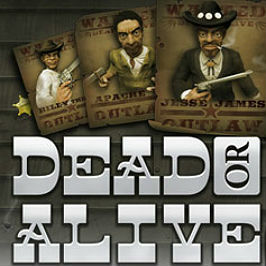 Step back in time into the Wild West with Dead or Alive, a five-reel, three-row video slot created by NetEnt. With excellent graphics and a Free Spins feature where Sticky Wilds can help you win big, this title is one for serious slot player. 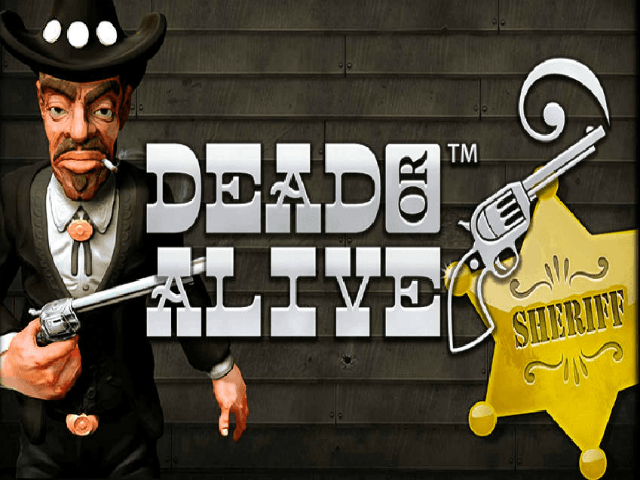 Saddle up as we give you everything you need to know about Dead or Alive online slot. The first thing you notice about this online video slot are the graphics and animations, which are as modern and as high-quality as they come. The background shows a stormy sky over a Wild West landscape, while the sound of birds chirping, a dog barking and the wind blowing can be heard, enhancing the feeling of being in bandit country. On top of that, there are added sound effects such as a gun loading every time you press spin, and the cracking of a whip every time you decrease or increase the coin value or bet level. There are only nine paylines in Dead or Alive and it’s a high variance slot, meaning that wins are rare but often big when they do occur. You have four bet levels to choose from and six coin values starting from 1p and going up to 50p, making a minimum bet of 9p and a maximum of £18. The symbols on the grid include card ranks from 10 to King, cowboy boots, a pair of whiskey glasses, a pistol in a holster and a white cowboy hat. 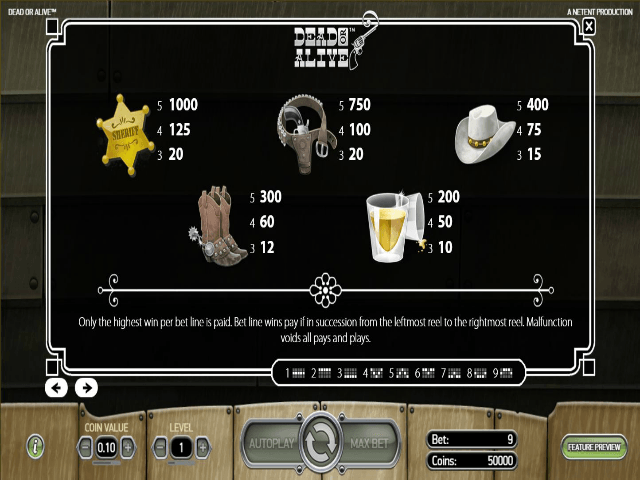 The cards are the lower-value symbols while the highest-paying symbol is the gold sheriff’s badge, which pays out 1,000 coins if you find five of them. 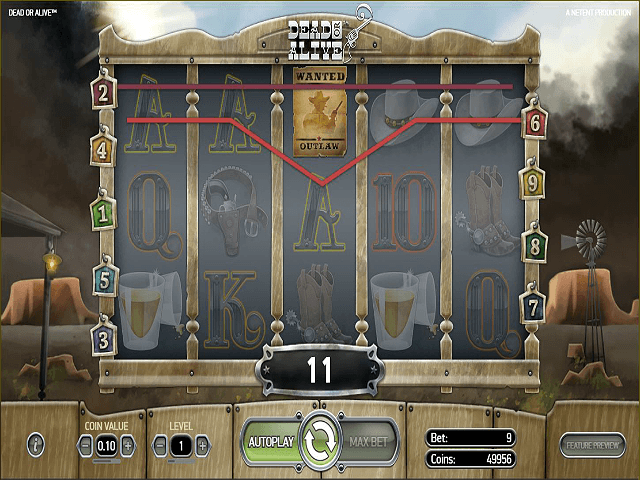 The Wild symbol is a 'Wanted' poster and it also animates when it forms a winning combination, depicting famous outlaws like Jesse James and Billy the Kid. That’s the base game covered, so let’s move on to look at the bonus features in the Dead or Alive online slot game. While there are some decent payouts possible in the main game, it’s the Free Spins feature where you’re likely to find the big rewards. 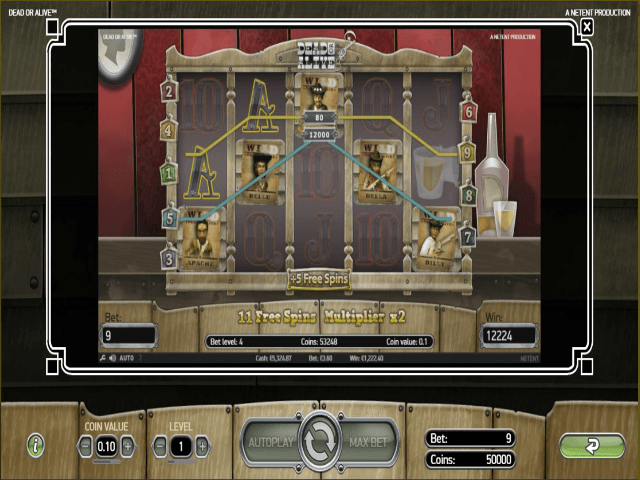 This exciting bonus round is triggered when you land three or more Scatter symbols (the two guns crossed) simultaneously anywhere across the reels. You’ll then receive 12 free spins regardless of how many Scatters you got. The great thing about this Free Spins feature is that you get a cash prize before it even starts. This is dependent on how many Scatter symbols you landed. Three symbols will award you with four times your stake, but you’ll be the chief of the town if you’re lucky enough to land five gun symbols as this pays out 2,500 times your stake! All wins during the Free Spins round are doubled and you can re-trigger the feature once by landing three or more Scatters. What’s more, Sticky Wilds are active during the round, with the Wild symbol becoming sticky for the duration of the feature. Landing one or more of these symbols will also give you an additional five free spins, so in total you could get up to 29 free spins. Combine this with the 2x multiplier and the sticky wilds and it’s possible to scoop some tasty wins during the Free Spins bonus. However, it’s not easy to trigger with Dead or Alive being a high variance slot, but when it does come around it’s worth the wait. If you like Dead or Alive - You'll like these slots too!